The Houston Rockets have less money invested in their players than any other team in the NBA during the 2012-13 season, so naturally that should mean that Daryl Morey's team is doomed to "earn" the top odds in the next draft lottery. Well, not exactly. That's not quite how it works. The $48 million that the Rockets are on the books for might give them the lowest payroll, but it doesn't exactly guarantee a last-place finish. Values of the players on the roster are essential to the analysis as well. If value didn't matter, the Los Angeles Lakers, owners of a $100 million roster prominently featuring Kobe Bryant, Dwight Howard, Pau Gasol and Steve Nash, would be booking the streets of L.A. for the latest purple-and-gold colored championship parade. Kobe wouldn't be able to wipe a smug look off of his face. So instead of just handing the Larry O'Brien Trophy to the Lakers and dooming the Rockets to the NBA cellar, let's use the most exorbitant expenditures in the league as a baseline for evaluating the Rockets' expectations. Going into the day off for Thanksgiving, the Lakers had gone 1-1 during the Mike D'Antoni era, leaving them at 6-6, good for third place in the Pacific Division. Although they've been underwhelming as a whole, the players have shown a few signs that they'll eventually turn things around. 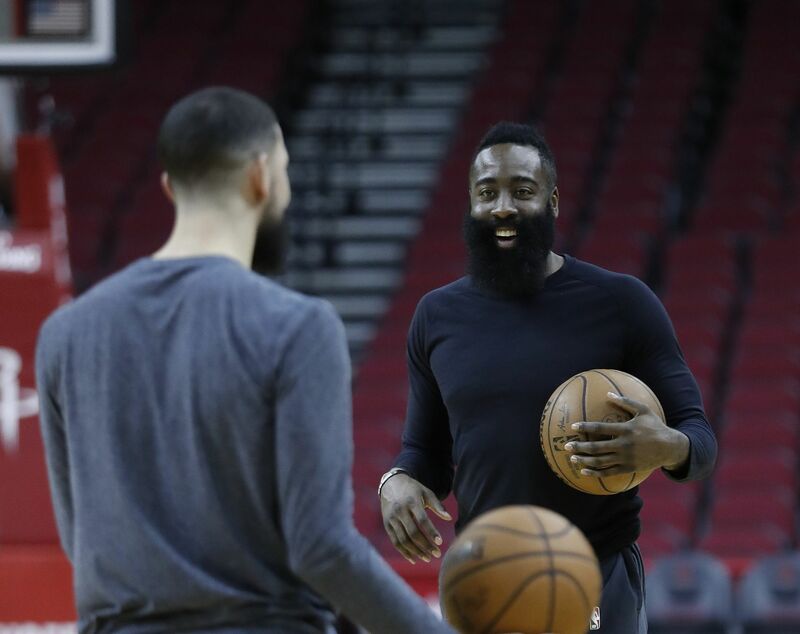 While the hopes of a 60-win season have essentially been defenestrated, expecting the team to top 50 victories during the first campaign of the Dwight era isn't exactly nonsensical. I'm still projecting the team to finish the season with a 55-27 record, meaning that it'll be going 49-21 from this point forward. In that case, using a simple proportional calculation, the Rockets should be expected to win 24 games and finish the season with a putrid 24-58 record. After all, they're paying 44 percent of the Lakers' salary, so they should be expected to win 44 percent of the games that the Lakers do. Right? Well, that's not exactly how things unfold in the Association, and the Rockets most likely aren't going to be held to a 19-51 record from here on out. For proof, look no further than a team I haven't even mentioned yet: the Orlando Magic. Rob Hennigan's squad has the third-highest payroll in the league, due in large part to the outlandish combined contracts of Hedo Turkoglu, Jameer Nelson and the recently amnestied Gilbert Arenas, who are owed a total of $41 million. This is why you have to look at more than just the money and bring the overpaid/underpaid concept into the equation. There's not a chance that the Magic post the league's third-best record at the conclusion of the 2012-13 season. So, back to the Lakers and Rockets. As explained in a previous breakdown of the Chicago Bulls' expectations, the Lake Show are overpaying their players by approximately $21.5 million, leaving $79.5 million as a more accurate number for how much it takes to earn 55 wins. First, we can scratch the $5 million owed to Luis Scola off the books, seeing as he's been amnestied and is now with the Phoenix Suns. Many of the Rockets' role players have contracts that make sense, but the four best players on the roster all jump out as being drastically underpaid this season. And then there's Royce White, whose $1.6 million salary shouldn't really count because of the unlikeliness of the troubled forward making an impact this year. Jeremy Lin and Omer Asik are both costing Houston $5 million thanks to the backloaded nature of their contracts, but each is worth roughly $8 million. That would put them in the same contractual range as guys like Rodney Stuckey, Thaddeus Young, Caron Butler and Chris Kaman. James Harden is even more underpaid. On the books for $5.8 million in 2012-13, the bearded shooting guard is actually worth the max contract he'll be paid once the next season begins. That leaves him making about $8 million too little. Finally, we have to look at Chandler Parsons, whose versatility has been quite impressive on the hard court this season. Parsons is only making $900 thousand this season, but he's currently playing like he's worth around $5 million. Once all of that is tallied up, a realistic monetary value for the worth of the Rockets' roster comes in at $56.8. If $79.5 million can buy the Lakers 55 wins, then $56.8 million should be able to give their Western Conference counterparts 39 victories on the season, leaving them just under .500 with a 39-43 mark. Rockets fans will probably be a bit disappointed at the losing record, but this is nothing to sneer at in a brutally difficult conference. And of course, as the younger players on the roster continue to mature, the team is only going to get better.